We offer a range of services to duplicate multiple copies of Tapes, CDs, DVDs etc and also to transfer from one media source to another. If you need multiple copies of a CD, DVD, Tape or other media we offer a services to help. 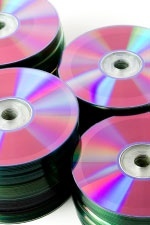 If you need to transfer from VHS to DVD or vinyl record to CD, in fact from any media to any other media, we can help. Our transfer service ensure your precious original material is preserved as well as being transfer to a media you can access quickly and easily. We employ audio restoration techniques to maximize audio quality where needed. If you have a project not listed above please call, we are able to help in most cases.